This skills-based Reading text/series addresses a major challenge -- engaging students -- by giving them interesting readings and providing them with multiple learning styles to choose from.This lower-level text is geared towards the 6-9th grade level course and revolves around student engagement. 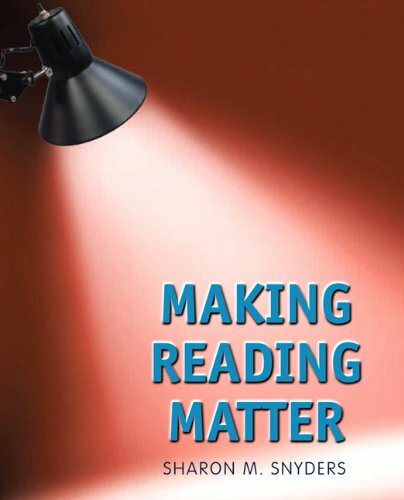 The focus of Making Reading Real I is fun, interesting readings, and learning styles! Dr. Phil's Six Rules of Talking & Listening from O, The Oprah Magazine. Don't Blame Ronald for Kids' Weight . Theme What are My Dreams?